Jobs Description: National University of Medical Sciences Jobs January 2019 are listed below in our site. National University of Medical Sciences (NUMS) is one of the best universities in Pakistan. NUMS is registered and recognized by the Higher Education Commission of Pakistan. NUMS provides well education to students, and also good salary packages to students. 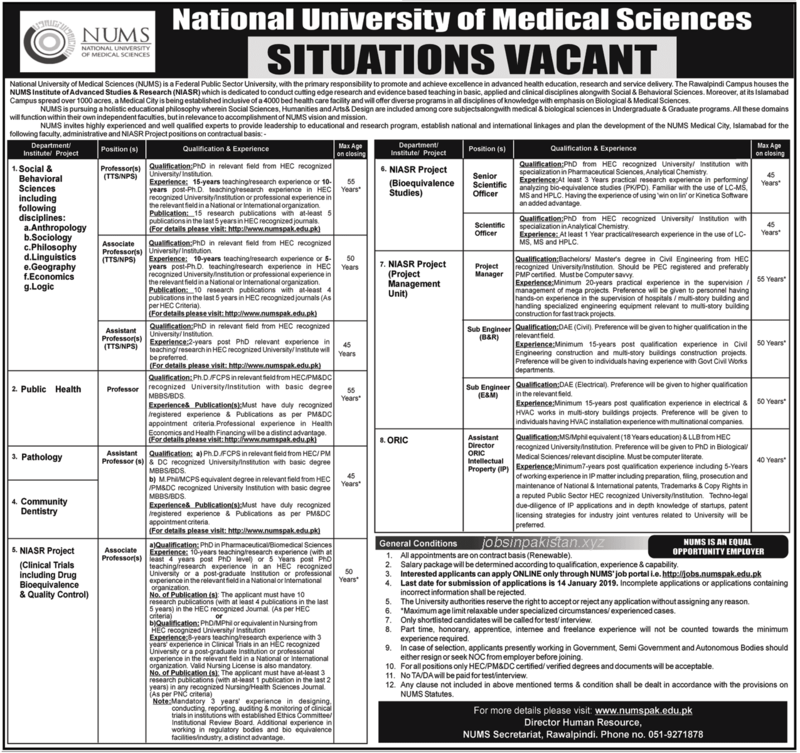 National University of Medical Sciences has required the applications for following jobs. How To Apply: The interested candidates may apply online through National University of Medical Sciences (NUMS) official website.